Questions continue to arise about the true anonymity of the popular online cryptocurrency Bitcoin. While many assume (or have been told by others) that Bitcoin is completely untraceable, new reports indicate that this may not actually be the case, as the blockchain ledgers are public and technically available to anyone who knows how to break into them. Last month, Alt-Market.com founder Brandon Smith issued a warning about Bitcoin’s purported anonymity, explaining that it’s hardly the anonymous solution to the fiat Ponzi scheme that many people believe it to be. He says that based on what’s already been revealed by whistleblowers like Edward Snowden and those involved with Wikileaks, nothing in the digital world is truly anonymous, period – including cryptocurrencies like Bitcoin that have transaction records publicly available. Theoretically speaking, practically any group with the proper tools at its disposal, from the FBI (Federal Bureau of Investigation) to the NSA (National Security Agency) to the IRS, (Internal Revenue Service) could develop systems with which to extract data from the Bitcoin blockchain ledger and identify every Bitcoin transaction that’s ever been made. The IRS has apparently already developed a special analysis tool that allows it to track down individuals who are profiting from Bitcoin but not declaring these profits on their tax returns. Since the IRS exists for one purpose, and one purpose only – to enrich itself as much as possible on the backs of hard-working American taxpayers – the growing popularity of Bitcoin is a threat to its revenue stream. Every Bitcoin user who isn’t paying taxes on his or her Bitcoin profits is a potential target of this mafia-style corporation that functions as the enforcement arm of the privately-owned Federal Reserve bank. Not only that, but Bitcoin users also face the constant threat of price fluctuations, as the value of the cryptocurrency has been exceptionally volatile as of late. Many will recall the Bitcoin “flash crash” in which the price of Bitcoin plummeted from about $3,000 per coin to roughly $2,500 per coin in a matter of just four hours. As of this writing, the price of Bitcoin is hovering around $4,600 per coin. 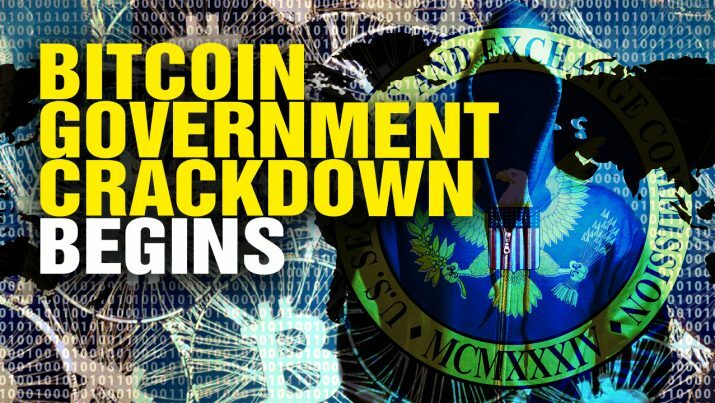 The government’s hate for Bitcoin is creating additional threats in the form of “cryptocurrency terrorism” as well. This is the idea that Bitcoin users are evading the use of Federal Reserve Notes and other forms of fiat currency for the purpose of committing illegal activity online. If Bitcoin isn’t truly anonymous, then this suggests that such users will possibly be identified and put on government “watch lists” in violation of their constitutional rights.